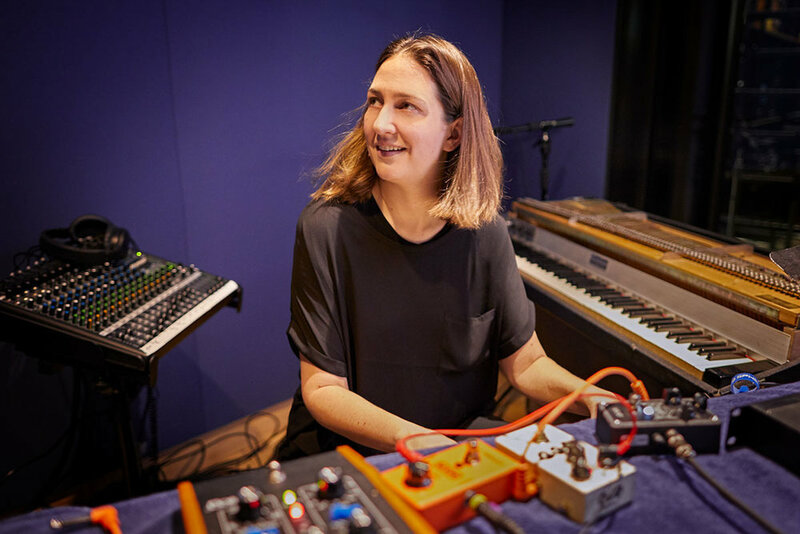 KAIT DUNTON is a Los Angeles based composer & pianist with an unconventional approach to composition and to the piano trio, best expressed by her genre-pushing super group, trioKAIT. Together with bassist Cooper Appelt (Kan Wakan, Station Breaks, Robert Davi) and drummer Jake Reed (Bill Holman, Bruce Forman, Mako), trioKAIT brings a modern, tight and groovy sound to the piano trio format, shuffling wide-ranging influences and Kait’s innovative compositions into a refreshingly modern take on instrumental music that is as uncategorizable as it is infectious. Fused together via Kait’s music, the trio melds into a laser-focused single entity with a dynamic group sound. Kait has produced and released four albums of original compositions, with a fifth featuring her inventive arranging style. DownBeat awarded 4.5 stars to Kait’s latest album, trioKAIT 2, writing that “Dunton brings a Technicolor sensibility to everything she touches.” In 2017, trioKAIT Casual, reached #5 on the Jazz Week radio charts, while her debut album, Real & Imagined, continues to draw fans, now with over 1.5 million streams on Spotify. Her third record, trioKAIT, made the Huffington Post’s list of “The Best Jazz for 2015” and was featured in Downbeat Magazine as well as on JAZZIZ Magazine’s 33⅓ Anniversary CD. Her second album, Mountain Suite, features master interpreters Peter Erskine, Bob Mintzer, John Daversa and Darek Oles. Prior to this, Kait was a member of Snarky Puppy during their formative years in Texas, appearing on their sophomore record, The World is Getting Smaller. Kait has been recognized on Jazz.com as one of “10 Future Female Jazz Stars” and described by critic Don Heckman as “an extraordinary talent on the rise” with “impressive compositional skills”. Something Else! Reviews writes that “[Kait] throws cold water on any notion that the piano/bass/drums format is an exhausted one. It’s very much alive and well, and here is all the proof you need…” In addition to composition and performance, Kait is also an active educator, heading the Piano Performance program at the Los Angeles College of Music (LACM) in Pasadena, California.